Manchester clubs to fight for Dayot Upamecano Manchester City and Manchester United are set to go head to head in the race to sign Valenciennes starlet Dayot Upamecano, as per Metro reports. 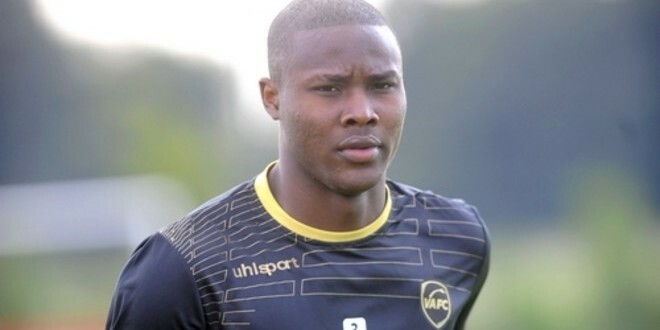 Manchester City and Manchester United are set to go head to head in the race to sign Valenciennes starlet Dayot Upamecano, as per Metro reports. The 17-year-old defender has been eyed by several top clubs for the summer move including North London outfit Arsenal. Arsene Wenger has been eyeing him for past few months but since these Manchester sides entered the race, he took a step back. Man United are reportedly leading the race as they have agreed a fee around £350,000 but the problem remains with his personal contract issues. Manchester City might now take the full advantage and seal his deal by splashing money. The recent reports further claimed that Man City are now in the front seat but it still yet to be confirmed. The youngster will not be a part of either of Manchester sides' first team, he will be starting from the youth or may be directly from the under 21. Meanwhile, City are also battling to sign former Chelsea winger Kevin de Bruyne from Bundesliga side Wolfsburg. The German side are demanding big transfer fee for the Belgian’s move. Also, City are eyeing Liverpool midfielder Lucas Leiva as a replacement of Yaya Toure who is set to leave the Etihad Stadium as Inter Milan are coming closer in his move.